Winifred Pittman was born on 21 November 1883 in Buffalo, Erie County, New York. She was confirmed on 29 January 1902 at Bethlehem Presbyterian Church, Buffalo, Erie County, New York, and over the years was a member of Kenmore United Presbyterian Church and North Park United Presbyterian Church; she was again a member of Bethlehem at the time of her death. She married Roy Peter Wilson, son of James L. Wilson and Adnia A. Fisher, on 28 January 1909 in Buffalo, New York, at Bethlehem Presbyterian Church. John Kearsey Pittman and Mary (?) appeared in the New York state census of 1 June 1915 in Buffalo, New York. Other members of the household included Winifred Pittman, Roy Peter Wilson, Hazel A. Wilson and Donald K. Wilson. The following appeared on 11 February 1935 in the Buffalo Courier-Express: [Died] Suddenly in Buffalo, N. Y., February 9, 1935, Mildred M. Pittman Groh, beloved wife of Melville J; mother of Mrs. Albert Shedler, Mrs. Rolland Hoock, Mrs. Walter Hohensee, Ruth A. and Noel J. Groh; sister of Mrs. R. P. Wilson. Funeral from family home, 151 Bradley Street, Tuesday afternoon at 3 o'clock. Friends invited. Winifred Pittman became a widow at the 11 December 1947 death of her husband Roy Peter Wilson. 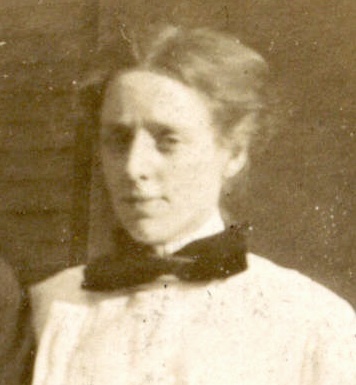 Winifred Pittman died on 27 January 1960 at age 76 in Buffalo, Erie County, New York, at Buffalo General Hospital. She was interred on 30 January 1960 at Forest Lawn Cemetery, Buffalo, Erie County, New York.